New pictures 2-27-05 She's showing some gray! 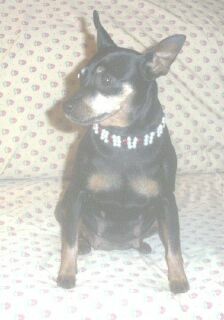 Prissy was our first Min Pin. 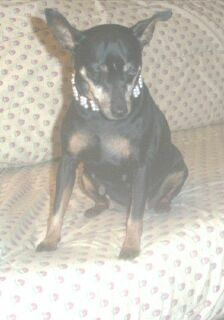 She is a true Min Pin through and through! her share of attention! 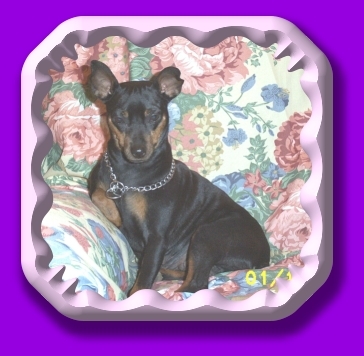 We got Bubba not too much later and so our breeding began. over! At our house there is no mistaking that dogs live here and rule!